A lazy Sunday, the sun streaming into the bedroom as you lie in your warm, comfy bed. Sounds pretty perfect, right? 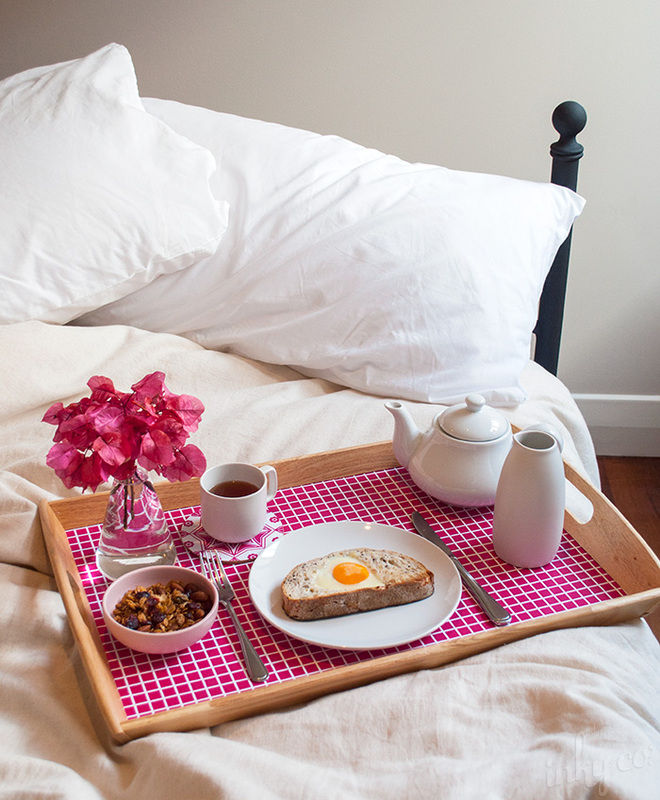 Well why not add to that perfection with breakfast in bed. Now, why not do that for Mum! 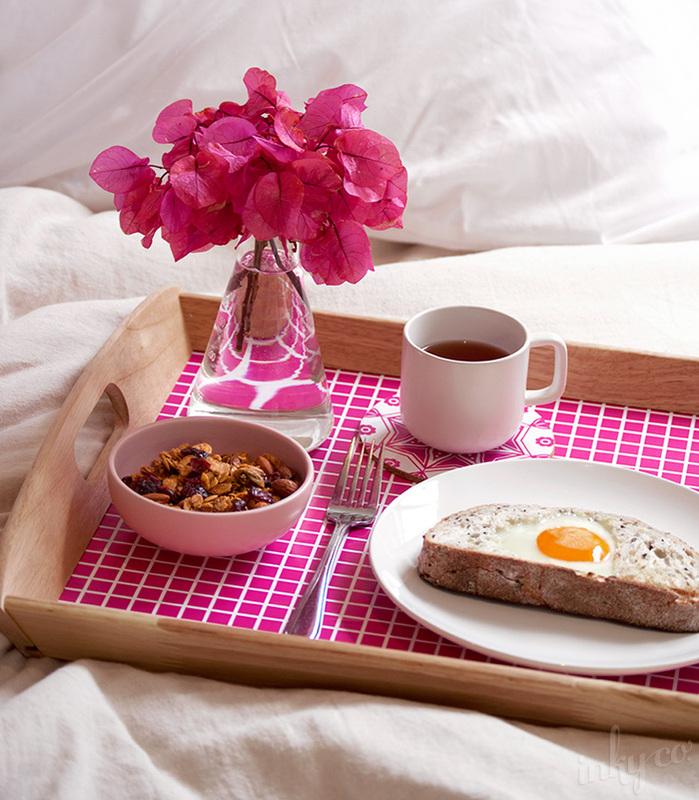 We have a new DIY project for you that means your lovingly made breakfast this Mother's Day won't be forgotten after the last bite. Below are our step by step instructions for making a beautiful tray and coaster set using our new Hot Pink Collection. Step 1. Unscrew one end of the tray. Step 2. Remove the end piece and slide out the base tray board from the frame. Step 3. Lay your wrapping paper out face down. You will need to cut a piece long enough to cover the base of the tray. Step 4. Apply the spray adhesive onto the top side of the tray board. Remember to cover your work space with old paper to protect it. Step 5. 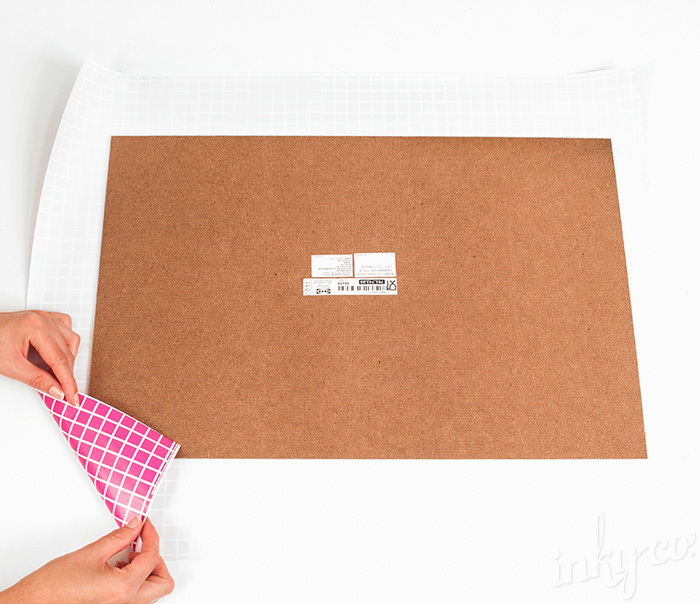 Place the tray board onto the back of the paper (sticky side down) aligning it with the wrapping paper pattern. Step 6. 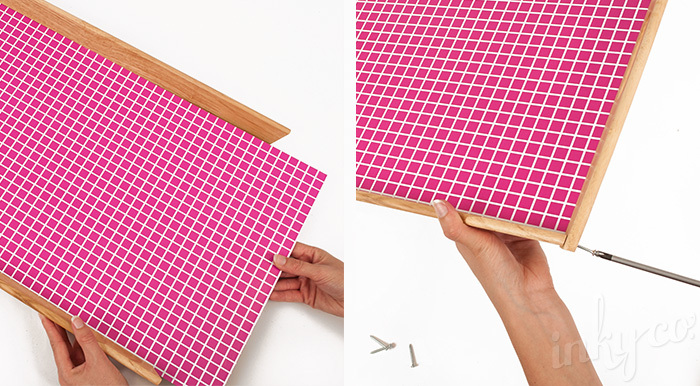 Flip the board and paper over and smooth out any bubbles. Step 7. 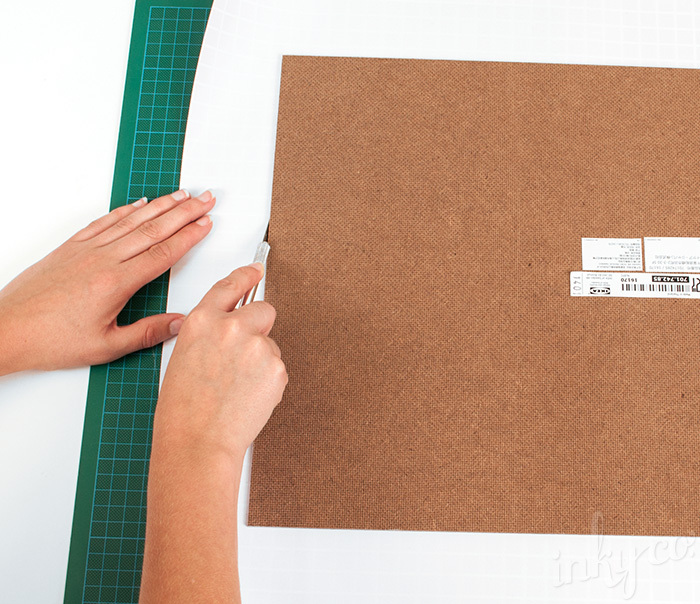 Flip the board back onto the front and using a craft scalpel trim down the edges of the paper. 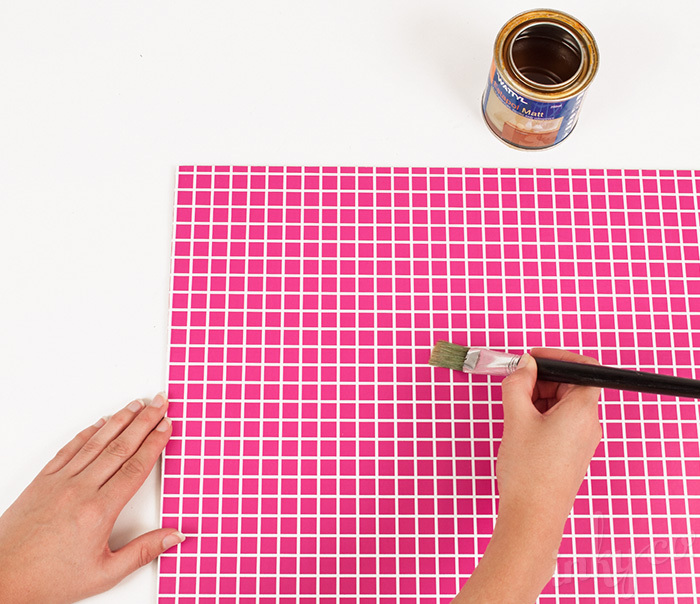 Don’t forget to place a cutting mat under your work. 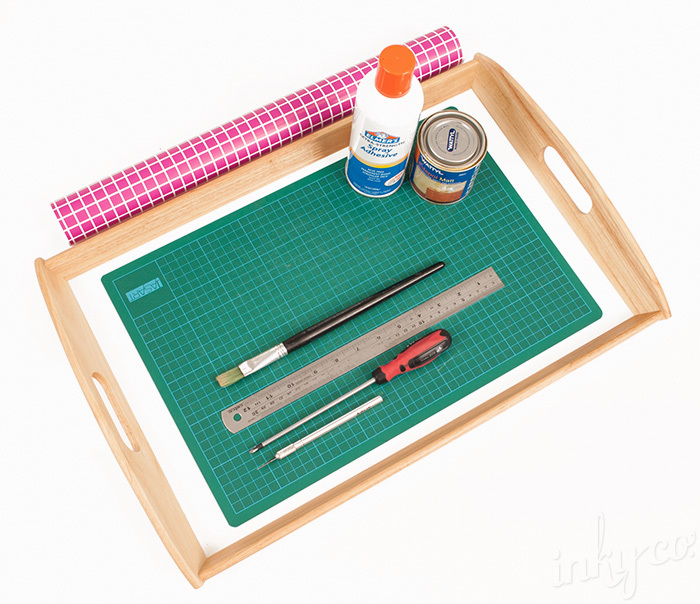 Step 8: At this time you can apply a light coat of clear lacquer or varnish to the front of your tray board to ensure that your paper is protected against spills. Leave this to dry for around 24 hours before commencing to Step 9. Step 9. Slide the board back into the tray frame and screw the end panel back on. 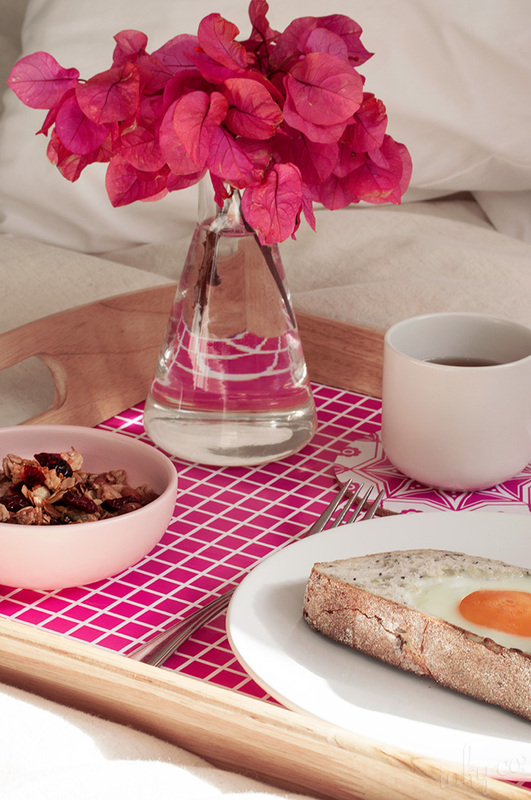 Spoil mum with breakfast in bed this Mother’s Day! Tip: You can also make some cute coasters using the technique above. We've used Moroccan Mandala Hot Pink. 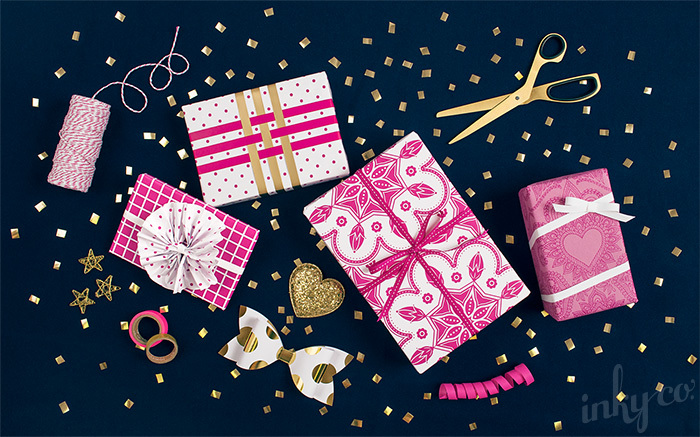 Introducing our new Hot Pink Collection specially designed for mum this Mother’s Day. 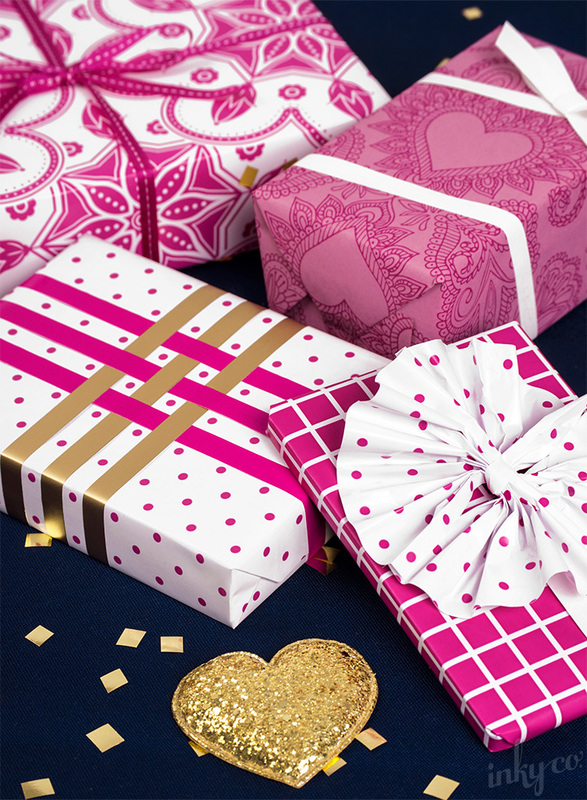 We're very excited to show off our bold range of four hot pink wrapping papers on our gorgeous semi satin finish paper stock. All four designs are also available in Belli Bands, perfect for mixing and matching. To finish your gift why not try our Gold Letterpress Papers Bows, Hot Pink Stitched Grosgrain, White Satin or some Pink Twisted Twine. Have a very happy Mother's Day! As Easter is quickly approaching (how is it already half way through March?! ), we have designed a little Easter DIY to help you spice up your egg gift giving using our NEW Easter Seals! Great for parties or as a sneaky lil’ Easter gift for friends, family or work buddies. Step 1. 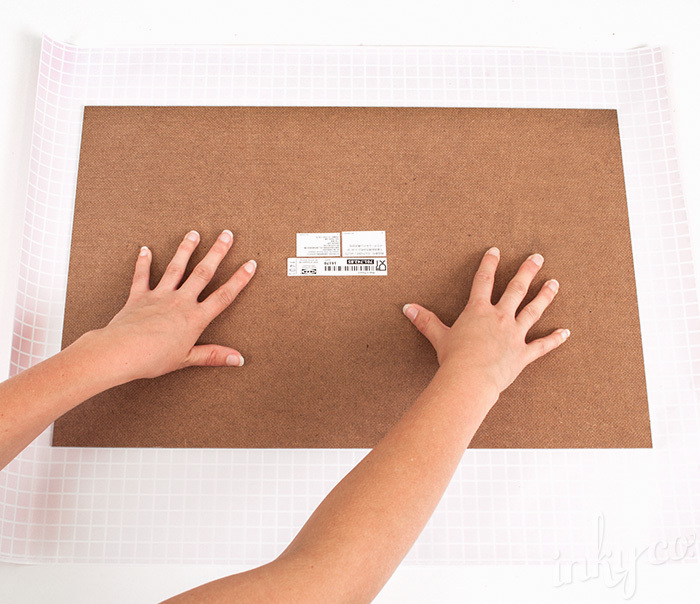 Measure and cut out a square of wrapping paper. For our design we used 16cm x 16cm squares, but you can increase or decrease this depending on the lollies you choose to fill your pockets. Step 2. 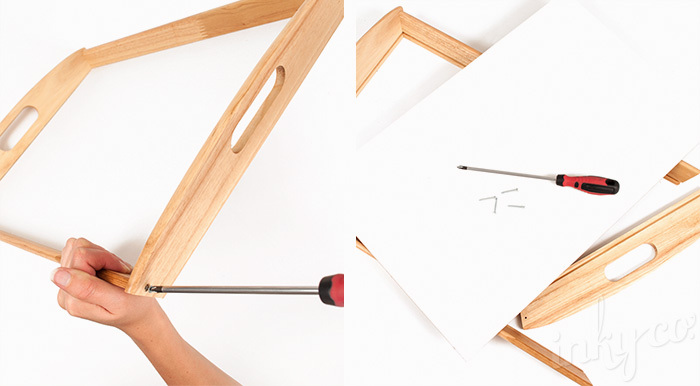 Lay the square flat on your work station colour side down with a corner point facing towards you. Gently fold in the bottom corner around 5mm from the edge. Step 3. Create a cone shape by curling in the left and right points. Use double sided sticky tape to stick the top flap in place. Step 4. Fill your pocket with eggs or lollies. Step 5. Fold down the top flap and secure with an Easter Seal. 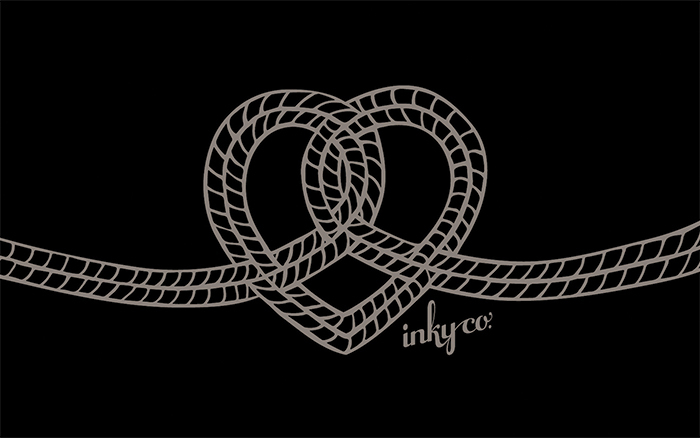 You can also embellish the seal with some ribbon. Happy Chocolate Feasting! To celebrate the launch of our new website Sarah has designed three freebie desktop wallpapers! 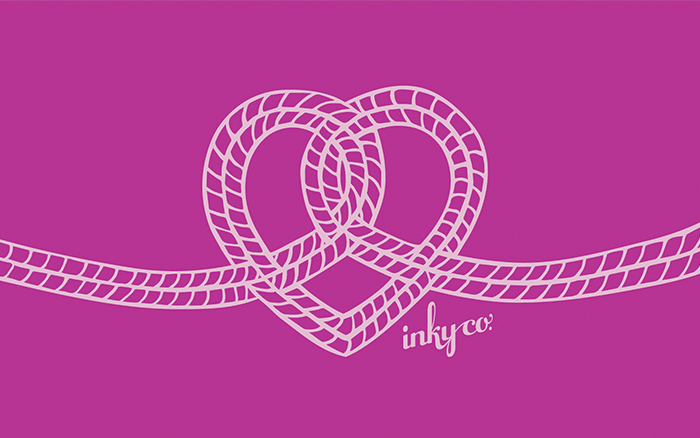 Click on the links below to download each Heart on a String wallpaper in fuchsia, teal and black.